Since people have been making movies and reporting the news, there have been other people who have shilling for those movies to get in the news. What they have been called has varied (and we have covered plenty of those euphemisms before), but one thing is clear — Hollywood has no clue what the hell we do for a living. And that’s why our tastes in how we are portrayed on the big and small screen shows should be diverse and appreciated. From sleazy publicists to communications professionals to speechwriters, we have been included scripts for decades, which is why this listicle was a must. Without further ado, here are the top 12 movies or TV shows for every flack’s personal collection. Movies about journalists are completely different and will not be in this list. Those are an assortment of Oscar-worthy and -winning pictures, and honestly, we don’t get that much credit. 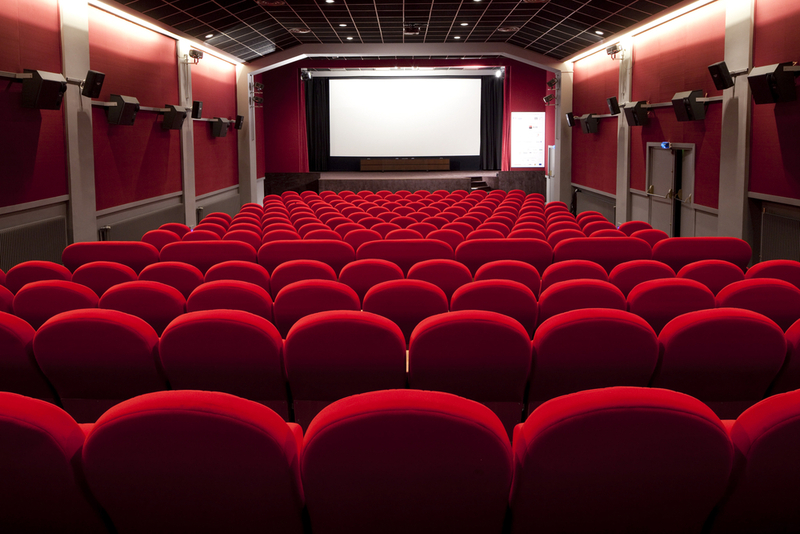 To that point, there are many movies about advertising that do not delve into the realm of perception management. You won’t find those on this list, save one. ‘Chicago‘ is a multiple award-winning musical that involves a PR manager played adeptly well by Richard Gere. However, I fell asleep watching that flick, so sorry about not being on the list. If you have a fave that didn’t make this austere list, the comments are open. You know we are not beneath making follow-up listicles. 12. 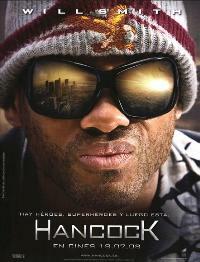 Hancock (2008). While it’s nothing the PRSA would recommend, Jason Bateman does clearly discuss the fine art of grassroots outreach, reputation management, and even a CSR campaign in this Will Smith vehicle. Albeit, he does it for a washed-up lush drowning his superpowers at the bottom of a bottle. Bateman saves the day by saving his image. This is a nice movie to watch with the kids, just don’t talk about the job. It gets confusing when you say you don’t represent people that fly. 11. 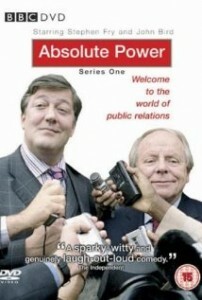 Absolute Power (2000-2005). This isn’t a Clint Eastwood movie, if that helps. This is actually a TV sitcom on BBC. The focus is the ne’er-do-well flacks of Prentiss McCabe, a government-media relations consultancy in London. Played by the snarky and witty Stephen Fry, Charles Prentiss doesn’t think much of PR, which makes everyone else think long and hard about it. For example, the slogan of his agency is: “Spin is dead, long live PR.” If you like Monty Python, you will dig this. No reviews available but IMDB gives it an 8.2. It’s worth it. 10. 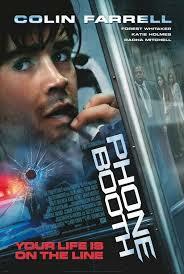 Phone Booth (2002). If you ever want to know the difference between a PR pro and a publicist, watch the opening scene of this underrated movie. There’s no strategy; it’s all leverage. Stu Shepard (played by Colin Farrell) is a smarmy weasel who only uses what he has on people, until someone (played by the seemingly omniscient Kiefer Sutherland) has something on him. Sounds like some PR directors, huh? 9. 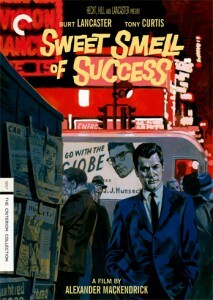 Sweet Smell of Success (1957). Yes, that’s two (almost) perfect scores. FWIW, we’d say they just made better movies back then. And when you add Burt Lancaster (J.J. Hunsecker, a big-time NYC gossip columnist) and Tony Curtis (an unscrupulous PR type). The plot is mastered by showing the extent PR matters in shaping the image of a story, and the necessary relationship between journos and PR types. All these years later, it is still given as case study material in some places of higher learning. 8. 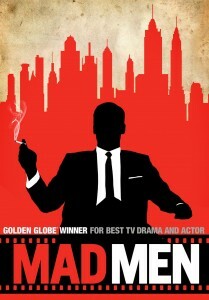 Mad Men (2007 – 2014). Yes, it is advertising but there are few movies or TV shows that demonstrate what it means to work in an agency better than this one. Whether it’s in the 1960s or today, PRs can learn quite a bit from watching this show. And if you are a fan, think back to all the client-agency interactions, new business pitches, thoughts about perception, and even the types of folks inside the agency. This show may be about them, but it was made for us. 7. 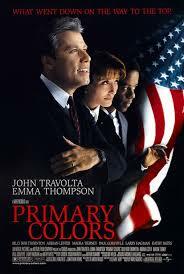 Primary Colors (1998). Some of you may remember when this movie came out and people equated this to an homage to President Bill Clinton. Oddly enough, those cries were a little prophetic as this movie with John Travolta and Emma Thompson delves into the world of public opinion. And yes, that means we get to play with “spin” a little (shout out to Gini Dietrich). This movie is a nice dissection of what politicos think of PR and the smoke screens that can happen as a result of all that hot air. 6. The Queen (2006). 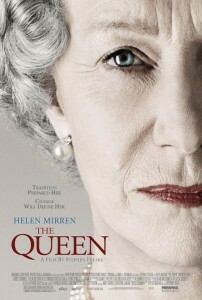 If you are not busy being mesmerized by the amazing Helen Mirren playing Queen Elizabeth II during the days following the death of Princess Diana, you will miss a great movie involving us. The film becomes a microcosm of crisis communications: Prime Minister Tony Blair (Michael Sheen) and the Royal Family have to present her death to the public and a mourning city of London. The script looks at the PR team’s psyche involving how to do that, deal with the historically awful divorce between Diana and Prince Charles, and more stuff involving with the Queen. Brilliant movie. 5. 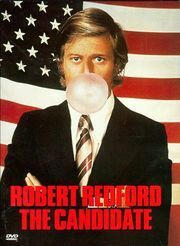 The Candidate (1972). The great Peter Boyle (yes, that guy) plays Marvin Lucas, who is known as a “political election specialist.” For sake of argument and semantics, he a shrewd PR guy. His task is to choose a no-name candidate to face the popular U.S. Senator. This is the equally as great Robert Redford. The movie is all about what many PR people do today — create a real story out of little insight, few details, and a drive to succeed. Spoiler: Redford wins. I know, sue me. 4. 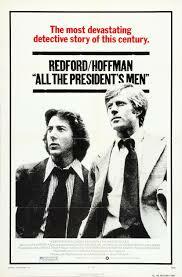 All the President’s Men (1976). Redford. Hoffman. Need I say more? These two play Oscar-caliber performances of the historic reporters Woodward and Bernstein, who uncover the details of the Watergate scandal that leads to President Nixon’s resignation. Yes, this is a journalism movie, but considering the story, it deals completely with how this story was going to affect the public, the government, and even the man. This amazing film is a case study is crisis 101. 3. 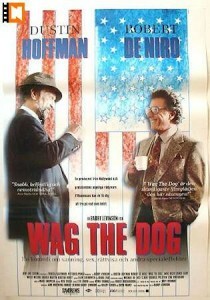 Wag The Dog (1997). De Niro. Hoffman. Again, done. Perhaps Dustin Hoffman can’t get enough of our profession, who knows? What’s important to note is how well he deals with it. Even as a Hollywood producer, Hoffman contrives a war in Albania with political consultant and overall spinmeister Conrad Brean (De Niro). Together, this partisan or slapstick (depending on your particular affiliation) movie makes you think about how easy it is to make people think and speak. 2. 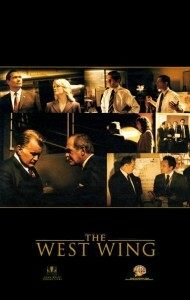 The West Wing (1999-2006). Sure, this is one of the best TV series in history, but that’s not why this is so high on this must-own-for-PR list. Much of this glorious series focuses on the communications staff and how words make the message — not the other way around. From a press secretary to a speechwriter, and the communications director to keep it all together, this series is a science class in how to combine skill, savvy, and passion to create a PR campaign and public message that works so masterfully well! 1. Thank You For Smoking (2006). The best movie about PR folks. Ever. Why? Nick Naylor (Aaron Eckhart) is the chief spokesperson for Big Tobacco. As you can imagine, this guy makes pretzels out of the truth and salt water taffy of minutia and facts. Somewhere in the middle of the movie, his message gets personal and he begins to see the other side behind all the health risks he has worked so hard to avoid. That’s what we do when we know our clients and their brands — we embrace it and live it. How he does both in this movie gives us all something to laugh about out loud and consider for a while.